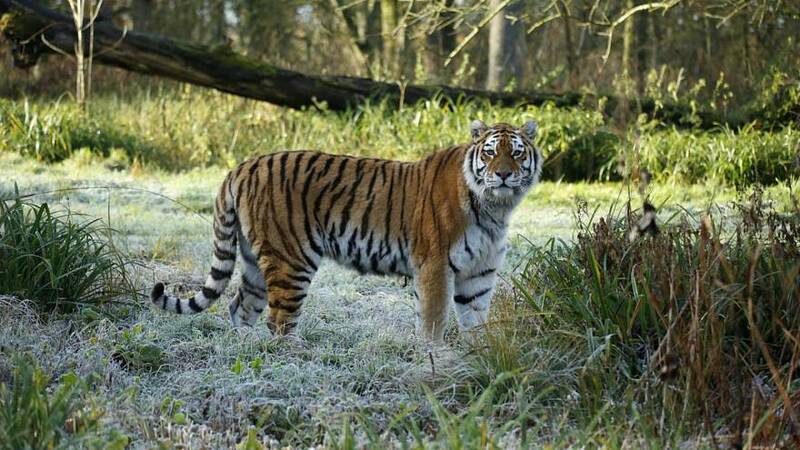 A Siberian tiger was killed during a fight with two other tigers at Longleat Safari Park on Tuesday, marking the second violent death in a week of an endangered tiger in captivity across the UK. Shouri, a 13-year-old Siberian tigress, gained access to a paddock containing the two tigers, where a fight ensued, the zoo said in a statement. The two other tigers, Red and Yana, are residing at the zoo as part of a breeding project with the European Endangered Species Programme (EESP). Red and Yana were unharmed in the fight, however, Shouri was fatally wounded. "The dedicated team of keepers who care for our big cats are, understandably, extremely distraught by the events and we are doing everything we can to help and support them," the zoo said. "[Shouri's] loss is very hard to take and she will be missed by all the staff here as well as our visitors." But this was not the first incident this week of a violent death of a tiger in UK captivity. 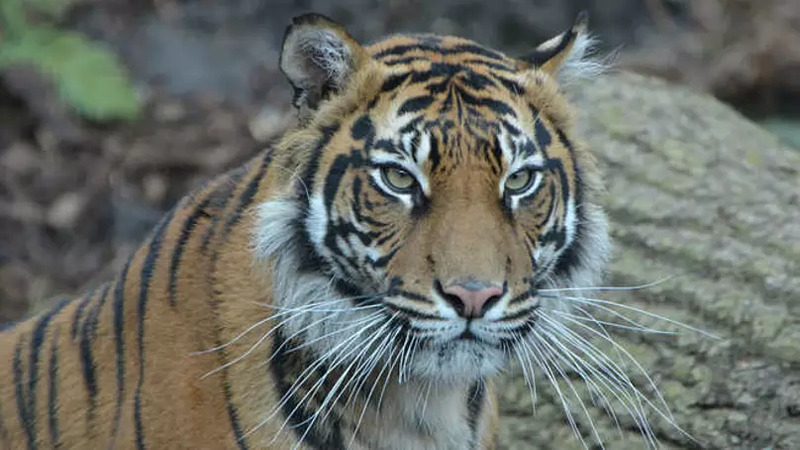 Last Friday, an endangered Sumatran tigress, Melati, was killed during introductions to a male at London Zoo. Asim, a male Sumatran tiger, arrived from Denmark as part of the EESP breeding project several weeks earlier, and was due to be introduced to Melati. "Since then the pair had been living side by side, separated by mesh, both seeming comfortable and even choosing to eat their breakfast within feet of each other," London Zoo Chief Operating Officer Kathryn England said in a blog post. "They had been frequently calling and ‘chuffing’ to each other." Chuffing is a friendly noise made in greeting by tigers. "It indicates interest and curiosity," England said. "After careful observation, we all felt confident that the timing was right to introduce Asim to Melati." While all the signs appeared in their favour, Melati's meeting with Asim did not go to plan. "...in the blink of an eye, with no obvious provocation, they turned on each other... the initial skirmish lasted a few seconds and we were already reacting," England said. "Asim started to retreat and we were poised to close the gate when Melati lashed back out at him. He overpowered her in a split second. Everyone sprang into action; lighting flares, sounding airhorns and setting off fire extinguishers and hoses." "Unfortunately, by the time Asim retreated the second time and we could close the gate, Melati had been fatally injured. It took moments." Born Free, an international wildlife organisation, said it was "saddened" to hear of the latest death, but noted that two deaths in a week was something that could not be ignored. "Both tragic incidents demonstrate just how unnatural captivity is for these wild animals," Born Free’s Head of Animal Welfare & Captivity, Dr Chris Draper, said. "They are denied the opportunity to choose their mates, have no control over their environment, and are unable to escape conflict." In it's statement, London Zoo said: "Tigers are critically endangered; their role in zoos is as part of a breeding programme to form an assurance population against extinction in the wild." "...wild tigers only stand any chance of survival because conservation organisations like ZSL and WWF are working with governments to protect them in their home ranges." There are believed to be only a few hundred Siberian and Sumatran tigers left in the wild.